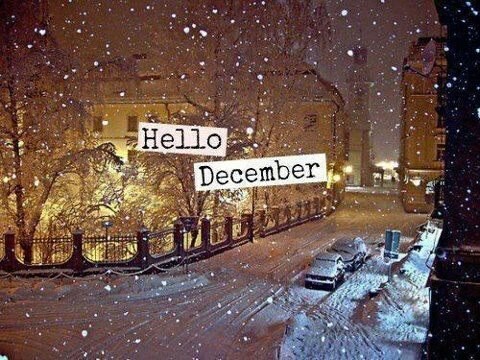 As we welcome December, I think about all of the things I love about this month. While I can’t say that it is my favorite month, it is a month that makes me happy. First and foremost, I love Christmas! Almost too much. If I had my way I would probably decorate my home a lot earlier than I should. However, my husband and I have made it a Black Friday tradition to avoid the craziness of the stores and to stay home and decorate our home instead. I had my Christmas cards ready to go since October. I had my Holiday Planner in it’s binder since October as well (click here for the one I use). I am a planner, in case you couldn’t tell. I also love the cold, crisp air. While I am not a fan of really cold weather, December is a nice transition into the colder temperatures. I love the days that are in the 40’s and the evenings that I get to curl in my recliner with my furry throw blanket. I love sweater and scarves, and especially my Uggs. I love the way people seem to be nicer to each other, even if only for a little while. I have seen some hold a door for another shopper, some let someone go in front of them in line, and some give to charities a little more freely. I love that people get to show their appreciation for each other during this month. It is something that should happen all year, but when the holidays come around, people are definitely more open about it. I love baking all the delicious treats I have planned for gifts as well as refreshments. I have a Kitchenaid mixer that gets quite a workout this time of year. I get to revisit old recipes, and when I get adventurous, try something new. I love that I get to spend time with my family. While I don’t get to see everyone I would like to, the time I can spend with the people I love is a special time that I cherish. So that’s it! Those are all the things that I love about December, and I am sure there are more that I didn’t think of. What do You love about December?